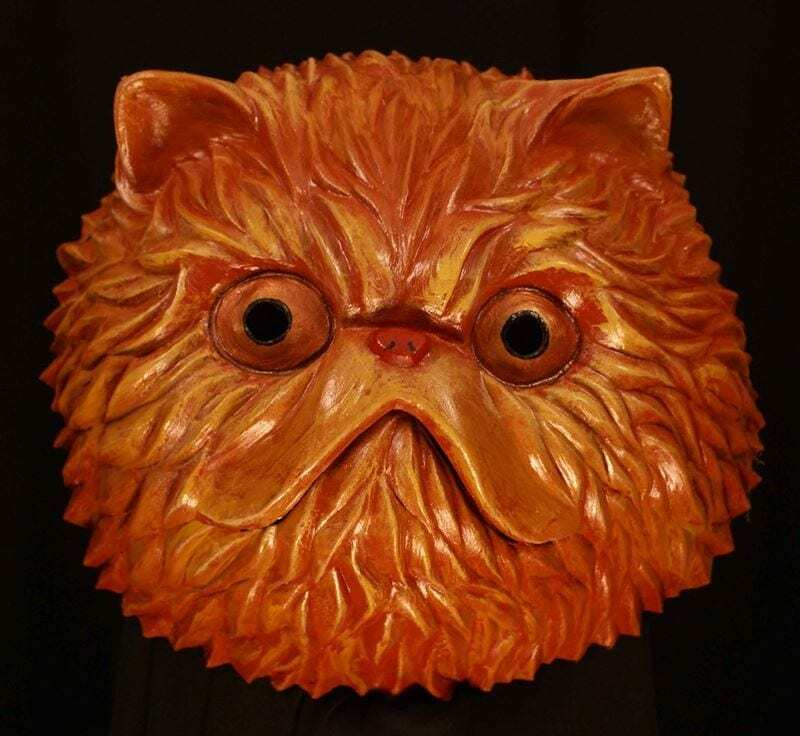 The Persian Cat mask is an original piece by master Mask maker Jonathan Becker. It is a great example of a mask that follows after the qualities and look of a particular breed. This mask was made for a trade show in NYC in 2008. The Persian cat could be seen walking down the streets judging passers by and holding itself aloof as is the way cats in general… and sometimes New Yorkers. The Persian cat breed is one of the most loved in the world because of its personality. The cat is dignified, quiet and sweet. As is their way they enjoy sitting for hours doing nothing and then making their human feel lazy when its dinner time. This mask can be purchased to wear or a decorative piece. Please specify when ordering so that it can come with a hanger for mounting on he wall.